We commence our business as the leading organization of the best quality Programmable Logic Controller. 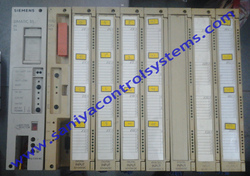 Siemens simatic S7 300 CPU and other PLC available in stock for sale. We have a huge stock for major Siemens PLCs. PLC REVIEWS stocks and sells new and surplus Industrial automation, MRO, Pneumatic, Motion, Electronic, PLC, AC Drive, Relay, and Electrical control equipments. We are a top-notch organisation, engaged in providing Delta Programmable Logic Controllers.